The Village Board consists of an elected six-member committee and the Village President. Trustee terms are for two years and are staggered. Elections are held every year on the first Tuesday in April. 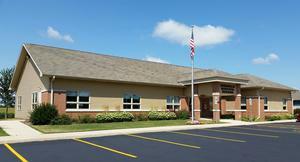 The Village Board meets on the 4th Monday of every month at 6:00 pm at the Village Municipal Building. Anyone wishing to speak or comment on a subject may do so by just coming to the Board Meeting and speaking at the Public Comment time period. The time allowed will be limited, but we will allow as much time as we can. If you feel that you want to be put on the agenda you may contact the Village Clerk (920-872-2740) and she may, depending on the subject, advise the Village President of your wish to be put on the agenda. If you need a guaranty that you will be on the agenda it would be best to contact the Village President, Duane Ciske (920-872-2608) or leave your contact information with the Village Clerk. This must be done no later than the Wednesday before the Board Meeting.